Check out our upcoming deals for our next sale on November 9th! We often have concurrent sales with our Fork & Fin food truck. 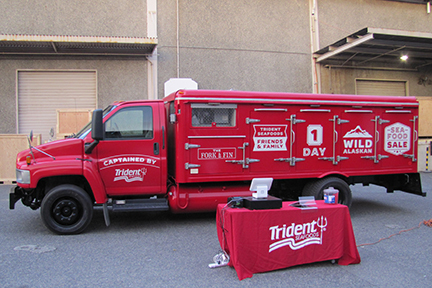 Find our One-Day Sale location on our event calendar and then look for the big red truck! If you would like sale event information delivered right to your inbox, fill out the form below and we'll let you know where you can find us next! Sign up with your email address to receive news and updates about our one day sales!